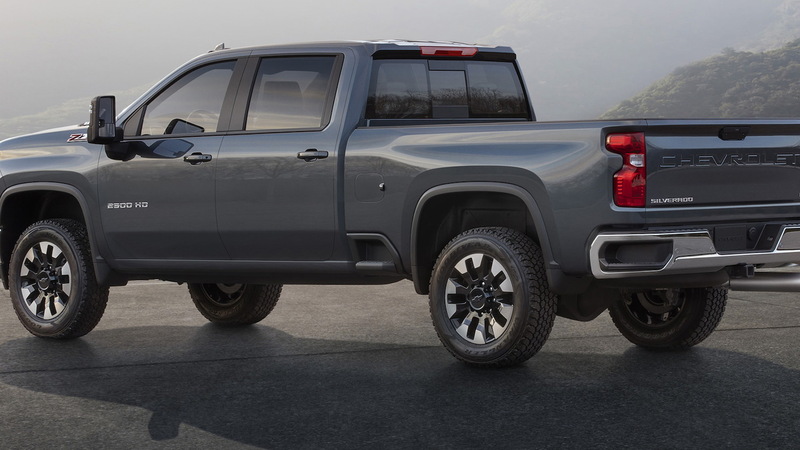 Chevrolet on Tuesday unveiled the heavy-duty version of its redesigned Silverado full-size pickup truck that arrived in 1500 light-duty guise for 2019. 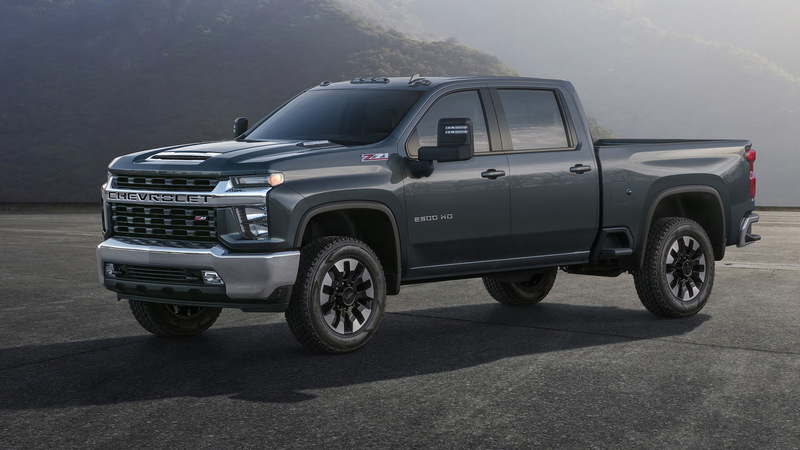 The new Silverado Heavy Duty, shown here in 2500 guise, arrives for 2020 and makes its formal debut next February, most likely at the 2019 Chicago Auto Show which is scheduled for that month. 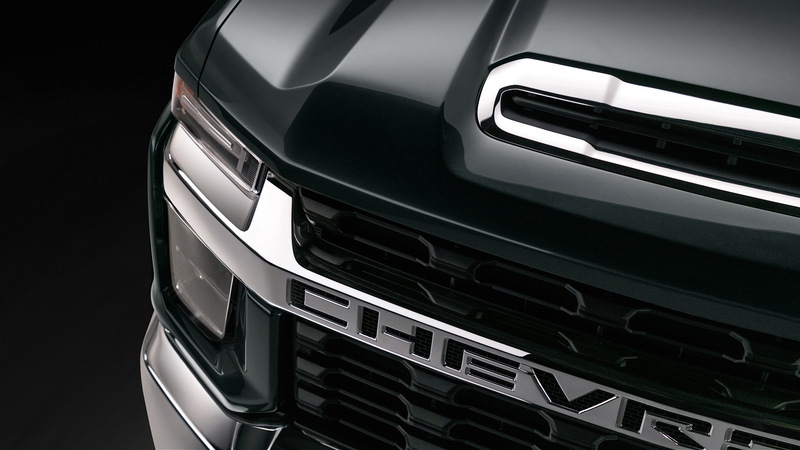 Chevy describes the truck as the most advanced, most capable Silverado HD yet. That's thanks to confidence-boosting driver aids when trailering, as well as significant increases in towing and payload capabilities. There's also more legroom in crew cab models compared to the previous generation, as well as a taller, more comfortable seating position. 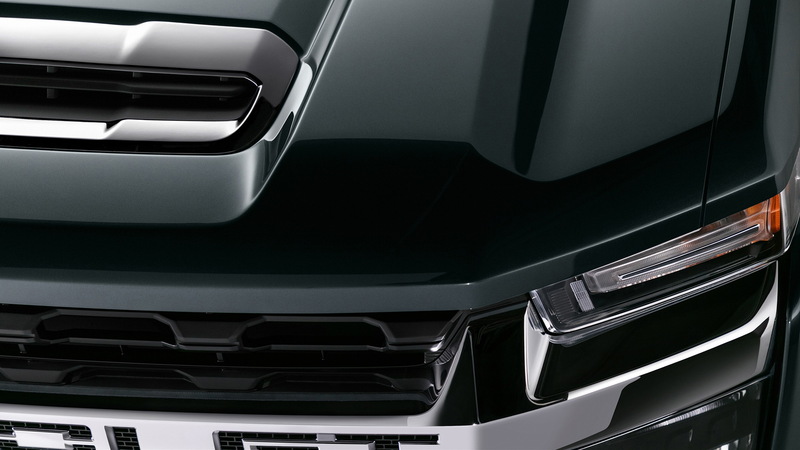 You'll also notice the integrated bed step on the flanks, which is unique to the segment. With steps already integrated into the rear bumper, bed access will be easier than ever, from all angles and positions. Buyers will have two powertrains to choose from. One will be a new gas engine with direct injection and a 6-speed automatic. The other will be a beefy Duramax V-8 turbodiesel. 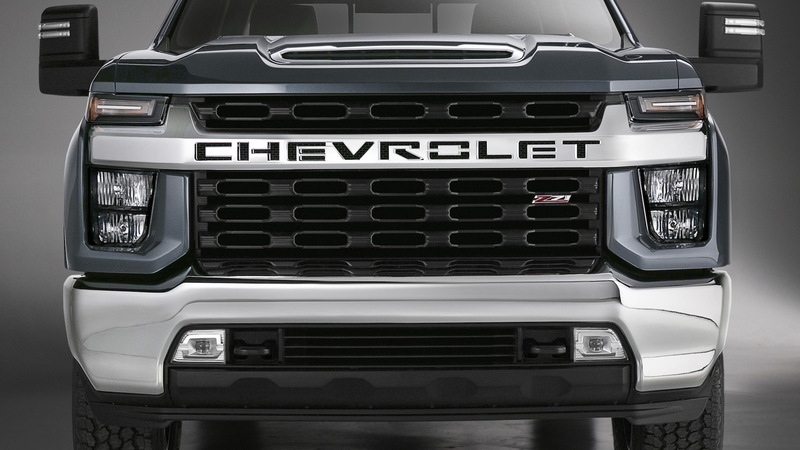 Chevy only states that the diesel will be mated to a 10-speed automatic and deliver 910 pound-feet of torque, suggesting it will be a version of the current 6.6-liter Duramax that was added for 2017 and offers 445 horsepower and 910 pound-feet of torque. Chevy's design team also set out to offer greater differentiation between the Silverado HD and the smaller 1500. The only panel that's shared between the two trucks is the roof. The 2020 Silverado HD starts sale next summer. Production will be handled at General Motors' plant in Flint, Michigan. The rival Ford F-250 Super Duty was updated for 2017 while Ram's 2500 Heavy Duty will receive its own redesign for 2020.